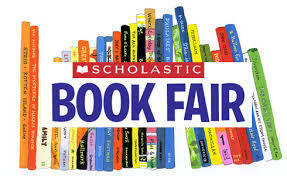 The Scholastic Book Fair will be at MMCSD Monday, May 7, 2018 - Friday, May 11, 2018. This is change from the District calendar that notes that the Scholastic Book Fair will take place from May 7, 2018 to May 14, 2018. This year, there will be new cash registers that are WiFi connected. This will allow a new way to buy things. Instead of giving money to their child, parents/guardians can go to the Scholastic Book Fair's website at http://www.scholastic.com/book... and set an amount through a credit card. Friday, November 9th, 2018 to Tuesday, November 20th, 2018 (Special Persons Day). Monday, May 6, 2019 to Tuesday, May 14th, 2019 (Muffins with Mom).